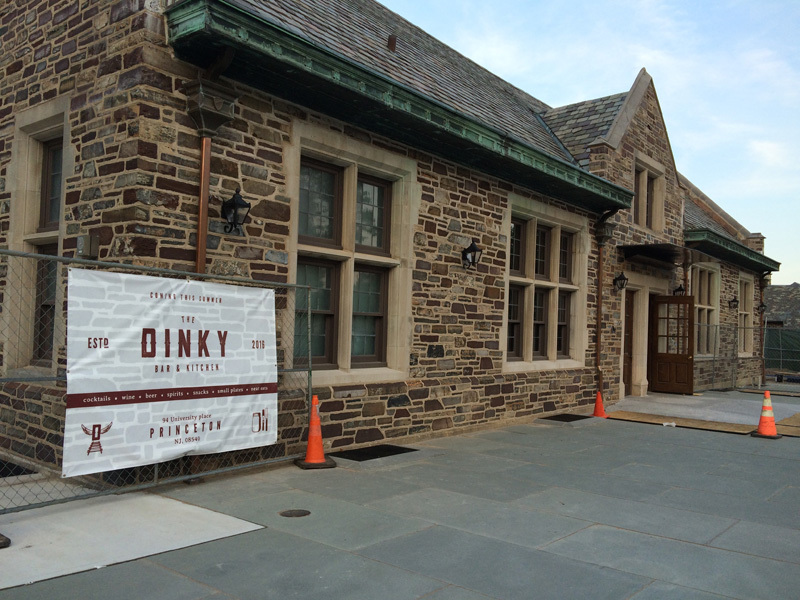 The Dinky Bar and Kitchen, the next addition to the Arts and Transit neighborhood taking shape on Alexander Street, will open at the end of July in the renovated building that formerly housed the old train station. The stone station house was constructed in 1918 in the collegiate gothic style, and includes the ticket office, which will be the kitchen area of the new establishment, and the domed-ceilinged passenger hall, which will include 54 seats and a bar with some counter-height tables, and 26 additional seats outside. The original train station was closed permanently in August 2013, with the new station and ticket office opening one block southeast on Alexander Street in November 2014. The bar and grill, interior designed by Celano Design Studio of New York, will be open from 11:30 a.m. to midnight, seven days a week. Also in the works as part of the station complex designed by Rick Joy Architects of Tucson, Arizona, is a full-scale restaurant, to be housed in the larger, southern station building, formerly used for freight storage. It is scheduled to open by the middle of next year and will seat about 150, for breakfast, lunch, and dinner. In the meantime, Mr. Nawn mentioned “a number of projects underway” at Main Street (comprised of the Main Street Bistro in Princeton Shopping Center, Main Street Eatery and Gourmet in Kingston, and Main Street Catering in Rocky Hill), which Fenwick acquired four months ago.